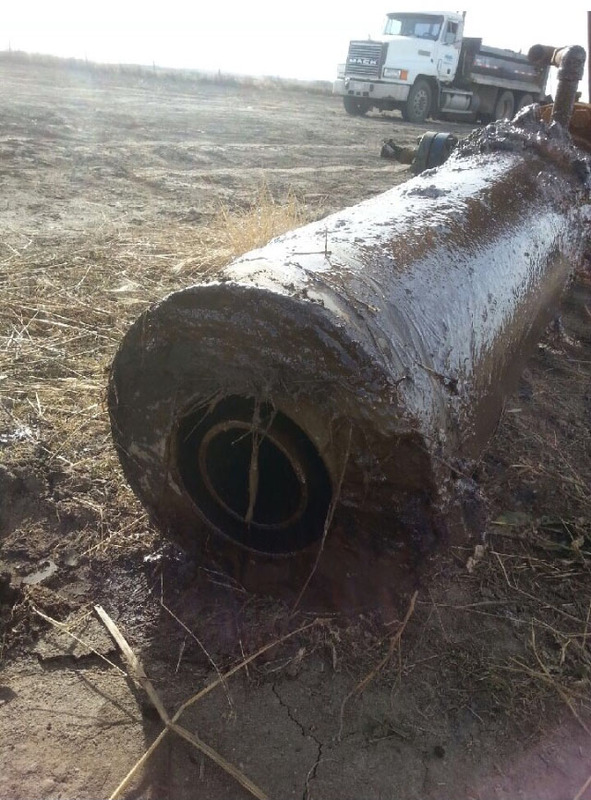 "Where water cuts wellheads, costs and environmental impact"
Jet Cut Abandonments Ltd. is pleased to offer a safer, faster and cheaper alternative to your cut and cap operations. Jet Cut Abandonments, Ultra High Pressure Water Jet, will cut through production casing, surface casing and conductor barrels. Our water jet technology cuts from the inside out, therefore very minimal ground disturbance is required. No digging with a backhoe, just cut it off and lift it out. Less ground disturbance means less environmental impact and faster turnaround on reclamation certificates. Safety is the most important part of our culture. Our method has totally eliminated the need to put a welder down in a deep excavation that could slough in. Often these excavations are very unstable. We also eliminate the source of ignition that could ignite trapped gas or hydrocarbons. Jet Cut Abandonments, cut and cap process offers a safe, environmentally friendly alternative, to the oil & gas industry, that will change the way you cut and cap wells and pipeline risers forever. Once you see how our system works, you will never go back to the old method. We can cut from 50.8 mm to 203.2 mm pipeline risers and well casing with the internal string, from 114.3 mm to 244.48 mm and external casing to 406.4 mm in size. Jet Cut Abandonments Ltd. offers a cost effective, environmentally friendly and safer solution to your abandonment needs.